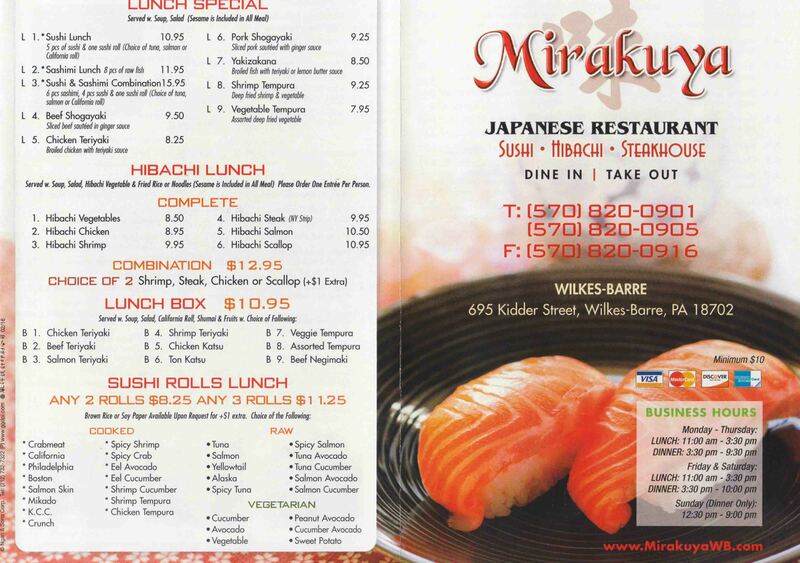 Mirakuya is an authentic Japanese restaurant located in Wilkes-barre, PA. Mirakuya is known for its hibachi and its variety of sushi items. 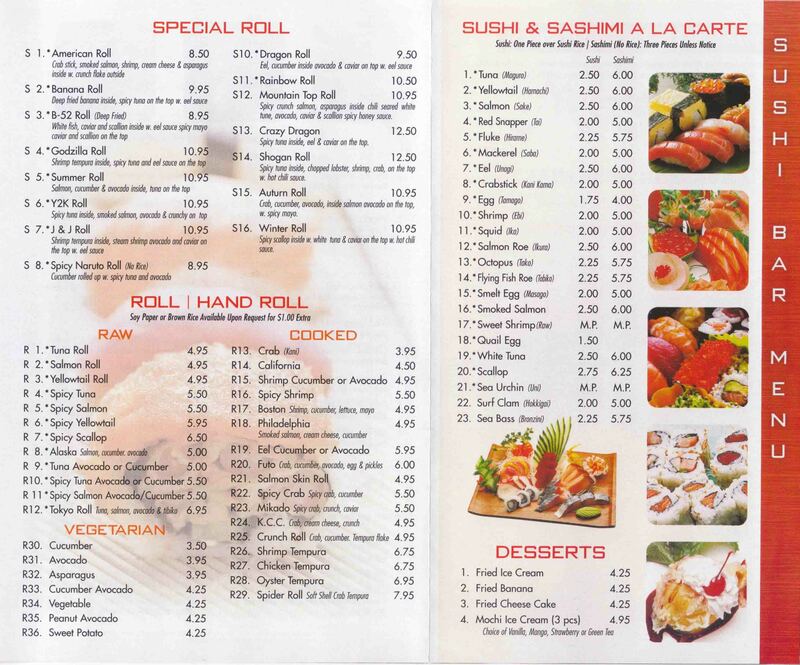 They offer lunch specials such as half priced hibachi and sushi rolls. 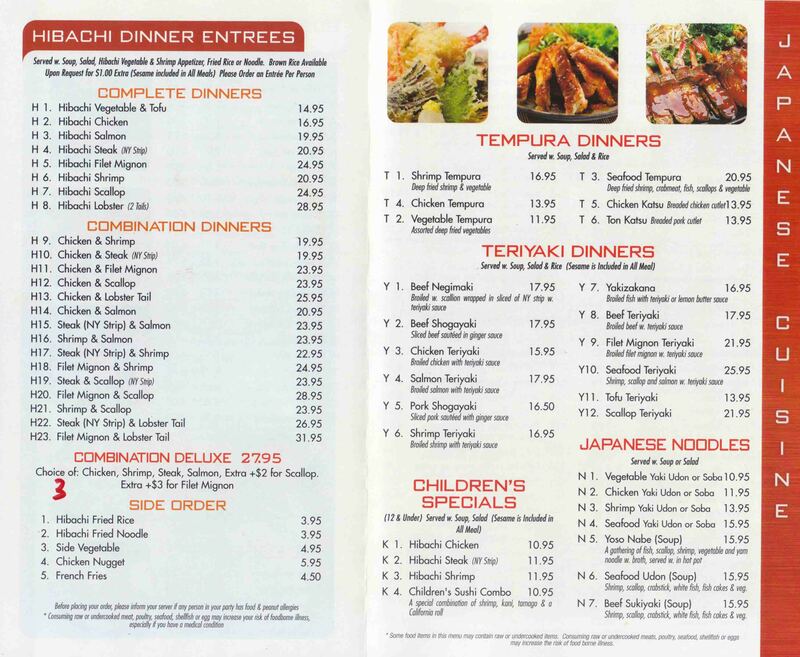 Don’t forget to try their hibachi filet mignon or lobster. 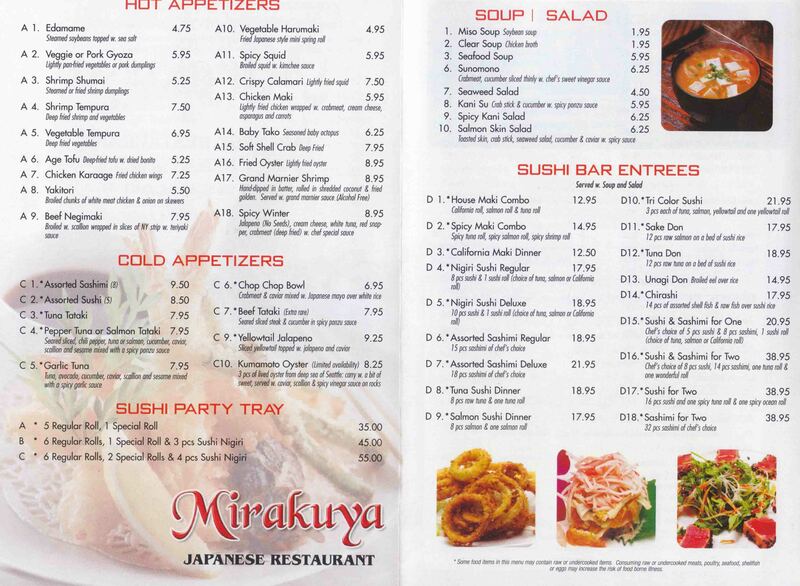 Mirakuya is great for family occasions. Their childrens options feature children’s bento boxes! Mirakuya bento boxes include soup salad, California rolls, shumai and fruits, all for just under $10! This restaurant is a great place to eat after a trip to the Wyoming Valley Mall!